The ambient transport system for blood and urine tube transport includes: 95kPa bag, Aqui-Pak™ segmented absorbent pouch, cushioning material, list of contents card, biohazard symbol label, Biological Substance Category B label, and medium transport box (ID: 7 x 4 x 4″; OD: 8 x 4.25 x 4.25″). Holds up to six tubes. 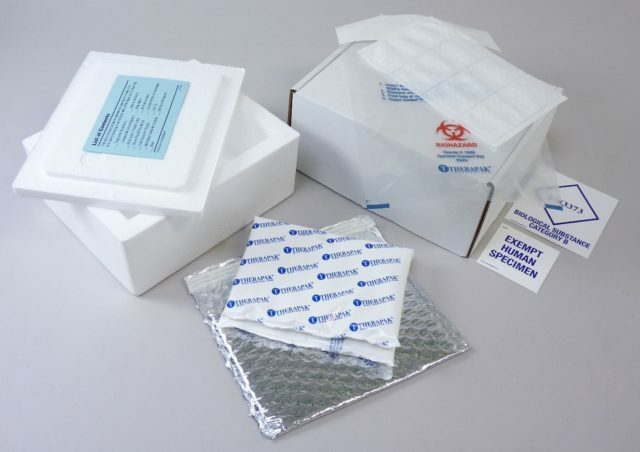 The ambient transport system features a tray-type transport box (ID: 11.25 x 9 x 2.1″; OD: 12.25 x 9.25 x 2.25″), insulated envelope, gel wrap, 95kPa bag, Aqui-Pak™ segmented absorbent pouch, list of contents card, biohazard symbol label and Biological Substance Category B label. It holds up to six transport tubes that are placed inside the absorbent pouch and inserted into the 95kPa bag. The bag is then placed in between the gel wrap and inserted into the envelope to guard against temperature spikes during transit. Maintains ambient temperature. 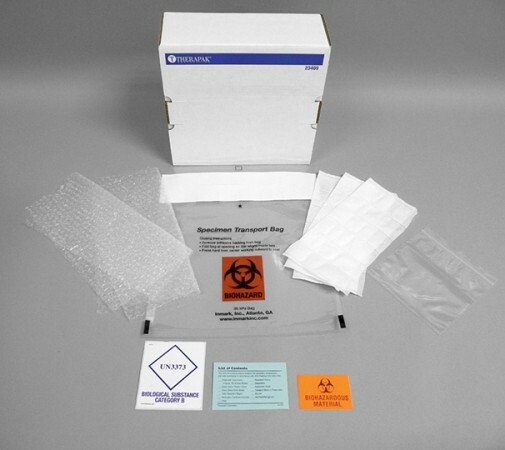 The ambient transport system for blood and urine tube transport includes: 95kPa bag, TearTech tube shuttle, absorbent sheet, cushioning material, list of contents card, biohazard symbol label, Biological Substance Category B label, and medium transport box (ID: 7 x 4 x 4″; OD: 8 x 4.25 x 4.25″). Holds up to six tubes. 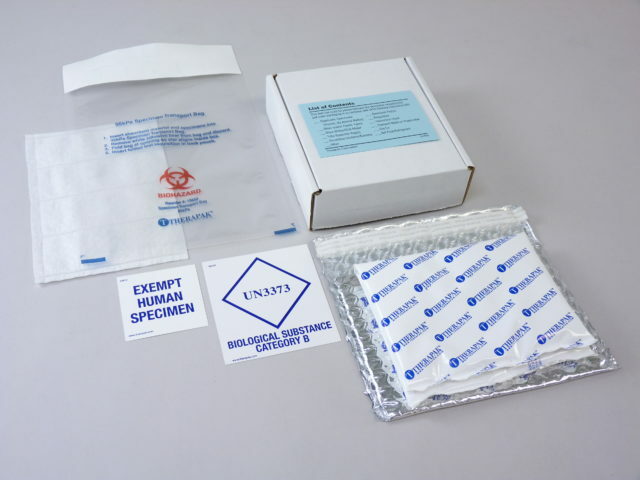 The ambient transport system for blood and urine tube transport includes: 95kPa bag, absorbent sheet, cushioning material, list of contents card, biohazard symbol label, Biological Substance Category B label, and medium transport box (ID: 7 x 4 x 4″; OD: 8 x 4.25 x 4.25″). 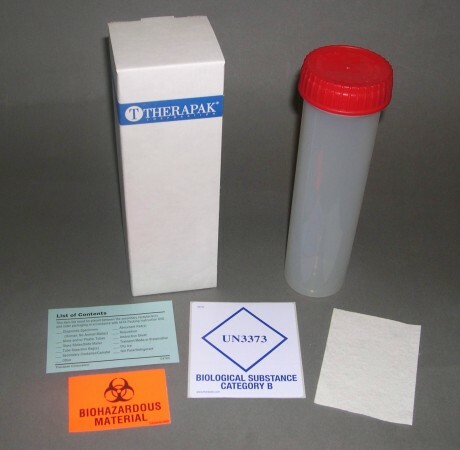 Ideal for transporting multiple or single non-fragile items such as specimen containers or 20 mL to 50 mL sample vials. 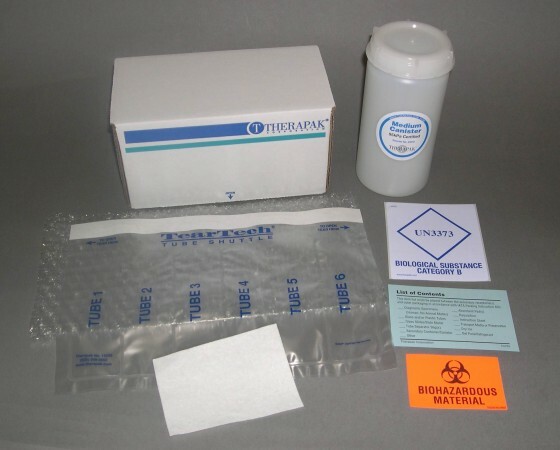 The ambient transport system for blood and urine tube transport includes: medium 95kPa canister, Aqui-Pak™ segmented absorbent pouch, cushioning material, list of contents card, biohazard symbol label, Biological Substance Category B label, and medium transport box (ID: 7 x 4 x 4″; OD: 8 x 4.25 x 4.25″). Holds up to six tubes. 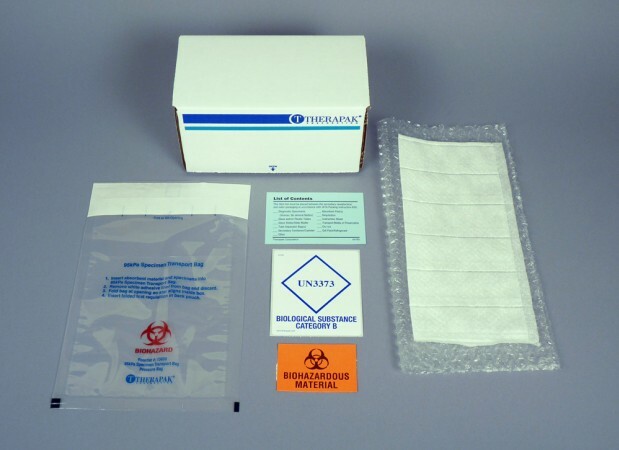 The ambient transport system for blood and urine tube transport includes: medium 95kPa canister, TearTech tube shuttle, absorbent sheet, cushioning material, list of contents card, biohazard symbol label, Biological Substance Category B label, and medium transport box (ID: 7 x 4 x 4″; OD: 8 x 4.25 x 4.25″). Holds up to six tubes. For blood and urine tube transport. 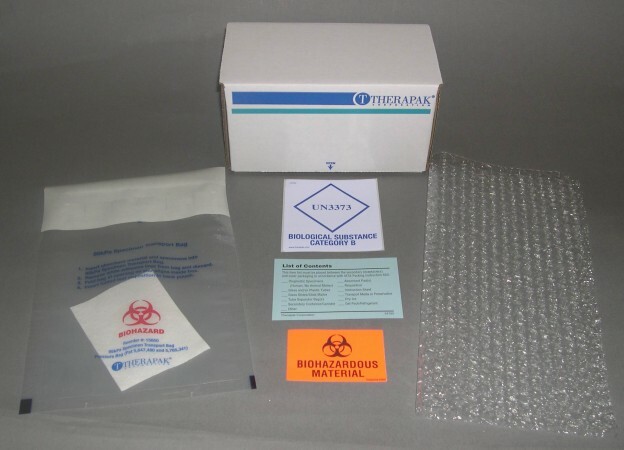 Includes: small 95kPa canister, Aqui-Pak segmented absorbent pouch, cushioning material, list of contents card, biohazard symbol label, Biological Substance Category B label, and transport box. Holds up to four tubes. 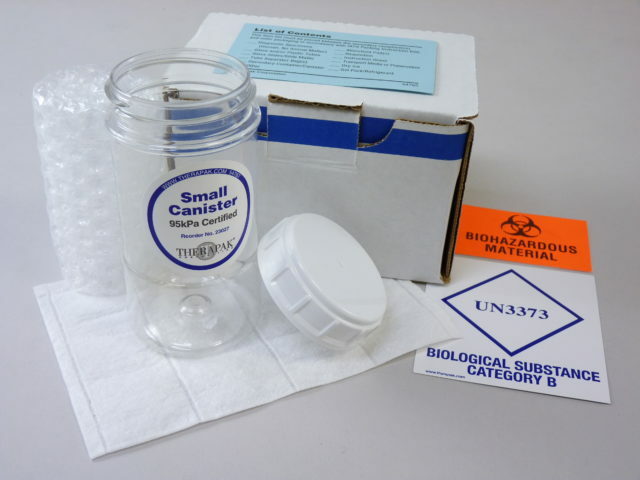 The ambient transport system for elongated microbiology swab transport includes: swab canister, absorbent sheet, list of contents card, biohazard symbol label, Biological Substance Category B label, and transport box. 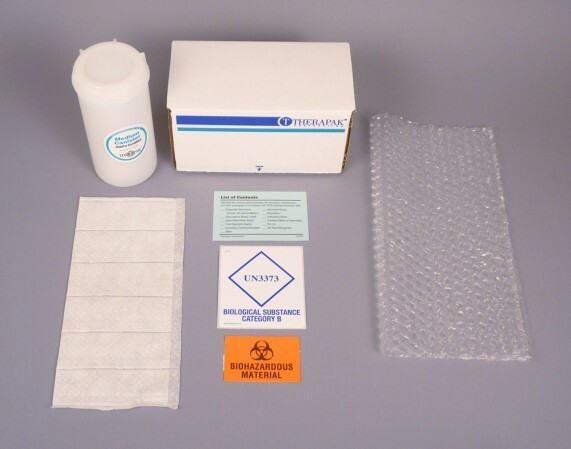 Each swab canister holds up to six swabs. 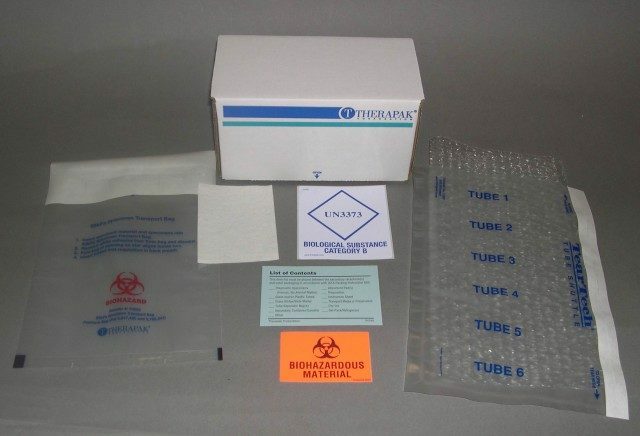 The ambient transport system for blood and urine tube transport includes: a large 95kPa bag, three Aqui-Pak™ segmented absorbent pouches, cushioning material, list of contents card, biohazard symbol label, Biological Substance Category B label, and large transport box (ID: 11 x 10.5 x 4″; OD: 11.25 x 10.75 x 4.25″). Holds up to eighteen tubes. 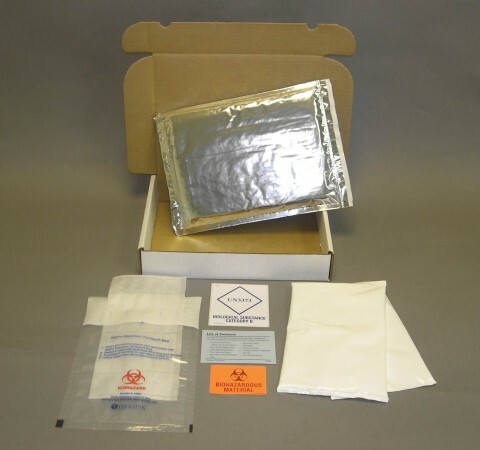 Protected Ambient Shipping System Includes: transport box, compact cooler (ID: 6.5 x 4.8 x 2.1”), one 95kPa bag, one Aqui-Pak with four segmented absorbent pouches, one small gel wrap, one small foil pouch, list of contents card, Category B label, and Exempt Human Specimen label. Holds up to four tubes. Category B certified. Fits in a standard freight poly bag mailer. Protected Ambient Shipping System Includes: transport box, ultra-compact cooler (ID: 6 x 3 x 2.5”), one 95kPa bag, one Aqui-Pak with six segmented absorbent pouches, one 2 oz. 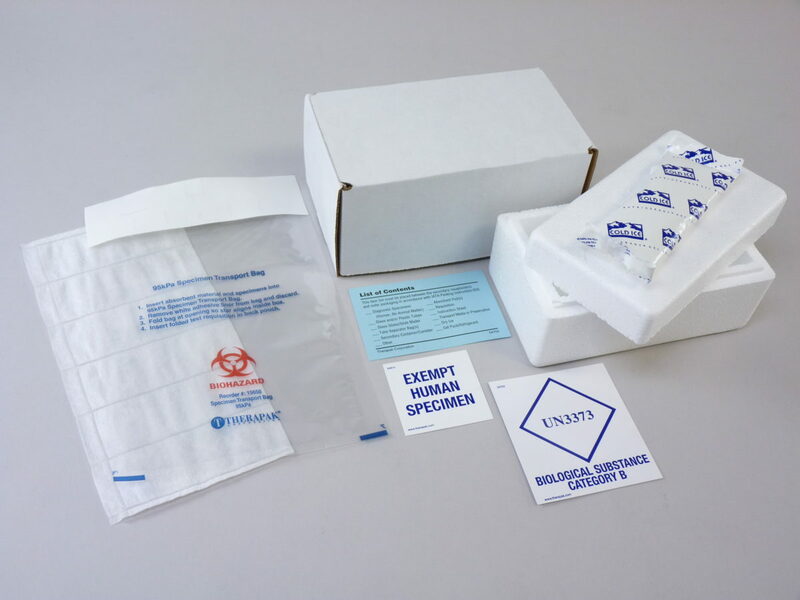 refrigerant pack, list of contents card, Category B label, and Exempt Human Specimen label. Holds up to six tubes. Category B certified. Fits in a standard freight poly bag mailer. Protected Ambient Shipping System Includes: transport box (ID: 5 x 6 x 1.8”), one 95kPa bag, one Aqui-Pak with four segmented absorbent pouches, one small gel wrap, one small foil pouch, list of contents card, Category B label, and Exempt Human Specimen label. Holds up to four tubes. Category B certified. Fits in a standard freight poly bag mailer.